Die Parts von Aloe Blacc finde ich sehr cool, das hat fast etwas leicht altertümelndes. Joar, den Abspack-Beat von Avicii hätte ich bei dem Song aber wirklich nicht gebraucht, für mich hier eher störend. Nachdem er mich mit "I Could Be The One" begeistern konnte, erhoffte ich mihc sehr viel von den neuen Avicii songs! 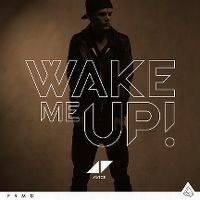 "Wake Me Up" ist ein starker song! Aloe Blacc bringt super parts und die Beats von Avicii wie immer genial!!! PS: freu mich aufs neue Album! EDIT: A personal favourite of the year! 6 stars! Over the past two months I've tried to get into this, I really have but I just do not like it. Nowhere near as good as it's made out to be or its chart run and success not only in Australia but worldwide would suggest. It's not even that good. Most of the time it sounds like Mumford & Sons or someone similar making a song over a dance beat. The vocals are boring, the dance elements are lacking and the folk elements are a tiny bit interesting but mostly boring. It feels very underwhelming, especially considering that almost everyone makes it out to be such an awesome song. I'm really unhappy with it being his biggest hit and first and so far only #1 as it is nothing compared to most of his other songs, particularly Levels, I Could Be The One and Seek Bromance. I pretty much agree with everything jayj95 (originally) said. EDIT (6/12/13): So nearly six months after I first heard it it's STILL in the top 30. I'm so tired of it, I race to switch it off if I ever hear it. It has become such a borefest and anything enjoyable about it is just gone. I just wish it would go away already. Also I'm annoyed that people are still buying this when "You Make Me" has been pretty much ignored. Müsste es nicht mit 'feat. Aloe Blacc' erfasst sein? edit: Wow, das ich da nicht schon längst auf die Höchstnote korrigiert habe? Leuk nummer zeg! Ik sta gelijk op als ik het nummer hoor! Ik ben het met RV eens: Er wordt wel wat te veel aandacht gegeven aan Wake Me Up!. Vreemd hoe Blurred Lines hier maar 3 weken op #1 stond, en dit 4 weken al. Dit duurt net wat te lang. Geef andere nummers ook eens een kans..
Op naar de vijf sterren. Zielig hoe dit zolang al op nummer 1 staat. Begint op een moment saai te worden. Ik verhoog hem weer naar 6 sterren. Toch gun ik Blurred Lines de nummer 1-positie meer. This is really new and interesting. Mixing Country with Dance was a risk but I love this. Good work from Avicii to bring something new to a genre which can easily be ridiculously repetitive. Na al die positieve berichten was ik toch wel benieuwd en inderdaad zeg, wat een lekker nieuw nummer. Vooral die zang maakt het bijzonder. Nach I Could Be The One die geniale Nummer!!! Wo ist der Avicii Sound? Traurige fortsetzung! DAS SOLL DIE NEUE NUMMER 1 SEIN???? Nicht unbedingt das, was man sich von Avicii erwartet hätte, aber gerade das gefällt mir daran. Also ich finde Country und House passen so nicht zusammen. Eine Art Country-House, oder wie man das nennen mag. Sicher nicht schlecht jedenfalls. Ein paar Durchgänge, Wochen und Nummer-1-Platzierungen später wird auch hier ein Upgrade fällig. Das ist einfach tolle Sommerware. How was this the number one song in Australia? I never got into it and the Australian public took a shine to it. He should have got his first major commercial success 18 months prior with Levels. "Wake Me Up!" ist eine weitere Single, die ich von Avicii recht gut finde. Mit Aloe Blacc und seiner Soulstimme im Gepäck ist hier ein guter Track entstanden. Überzeugt auch melodisch. I feel as though an Avicii chart topper has been inevitable for a while, considering that he's managed to go from strength to strength with successive singles, last making the top 5 with "I Could Be The One" which had no gimmicky qualities outside the interesting video. That being said, I wouldn't have predicted that this would be the one to do it for him. The thing that interests me when an artist gets to the summit is the implication that they are the next part of the continually growing canon of chart topping artists. And when this happens, it comes to the question of what they mean for this canon, are they a solid addition, or a mere tainting of a legacy? When LMFAO first got to the top of the charts, this was certainly on my mind. Accepting that has made it easier for me to accept anything else that comes along. But really, it bears in mind to take off the nostalgia goggles for this, because I'd seriously question anyone who disputes Avicii's placing in this canon next to 'legendary' artists like Charlene or Paul Lekakis. What struck me when listening to this first was just how atypical it was of Avicii. The breakdown I suppose is distinctively Avicii but the rest really came as a surprise. The opening strumming sounds organic but once it starts dipping in and out, it does remind you of its true colours. Of course not long after the drum beat kicks in to further solidify it. I will happily admit that the typical Avicii-isms just work for me. The four-on-the-floor beat, while a tried and true standard, pays off very nicely. Perhaps the song could have more to it, and it's not my favourite from him, but it does what it sets out to do and quite well, so I'm happy to see this at the top of the charts. Or perhaps I'm just on a never ending sugar high of quality #1 singles (and I will happily defend the qualities of "Harlem Shake" any day :P) and my views are completely distorted. I must say I almost want to hate this just because LOOK WHAT YOU'VE DONE AVICII! Heel goed gezongen maar ook heel goed geremixt! Dit nummer markeert de zomer van 2013. A really catchy dance track. 545,405 copies sold while #1. His second UK#1. UK#1 and Ireland#1. 1.4 million copies sold in the UK. Its catchy and starting to grow on me but I still prefer "I Could Be The One". Gefällt mir sehr. Eines meiner diesjährigen Lieblingssongs. Edit: Nur noch 5* hab mich schon leicht überhört. Recht bekömmlicher Soundmix jedoch leider mit etwas gar vielen Wiederholungen. Edit: doch dieser Song schafft es, sich in meiner Gunst bis zu einer 5 raufzuarbeiten. Gut aber letztendlich doch monoton...der Dance Part ist auch irgendwie sehr standard. Toller Ohrwurm. Aber solange Platz 1 in Deutschland? 01.01.2014: Vivien und ich meinen nun: Klare 6! Sehhhr Gut, Einfach der ganze Song ist Toll. Ich wusste gar nicht das Aloe Blacc der Sänger ist. Ist einfach ein super Song, es gibt nichts schlechtes sagen. Bin auch schockiert, mehrerer Worte bedarf es nicht. Eine wahrlich beeindruckende "1"er-Reihe hier oben rechts bei den Chartsplatzierungen (dazu #1 in UK und #4 in den USA)! Der Sänger, Aloe Blacc, ist grauenhaft. Wenn der nicht wäre dann bekäme das Teil eine 4. Ich kann nicht verstehen, wieso der Song so beliebt ist So lange auf Platz 1? Und überall wo das Lied läuft haben die Leute so Freude und tanzen und singen mit. Fazit: hörbar, aber nix spezielles. The backing music is what made me like this track. A very worthy #1 hit and Avicii's best single ever. die version von aloe blacc gefällt mir sehr. musik pur! Edit: Mittlerweile total überspielt und nervt. Leider nur noch 4* da das Nervpotential gestiegen ist! die AVICII version gefällt mir sehr ! und der Song holt BLACC aus seinem 2 Hit wonder Dasein heraus ! I don't find it offensive but I do find it very mainstream for an Avicii record. Mag ich nicht mehr unbedingt hören. Ich werde nie verstehen, was diesen Song zu so einem Megahit gemacht hat. Kannte von Avicii zuvor ausschließlich Levels (bin ja kein Chartshörer). Und Levels war für mich als Dance-Song zwar prägnant, aber insgesamt einfach zu unspektakulär. Aber das ist hier ist doch wirklich okay, auch wenn es nicht so meine Richtung ist. Ein Song wie dieser darf ruhig mal im Radio dudeln. Ein interessanterer Künstler jedenfalls, als ich erst dachte. Holte sich für verschiedene Songs/Projekte unterschiedliche Kollegen dazu. Und dann noch die Sache mit Lazy Jones. Das ist schon pretty cool. Ingsesamt ein wirklich ertäglicher Song mit angenehmen Vocals und die Samples sind zwar jetzt nicht wirklich außergewöhnlich, aber trotzdem gut. 2013 war ein echt gutes Jahr für die Ohren und dieses Lied gehört eindeutig dazu! Ich liebe den Klang des Songes und auch den Text. Im grossen und ganzen guter Radio Song.